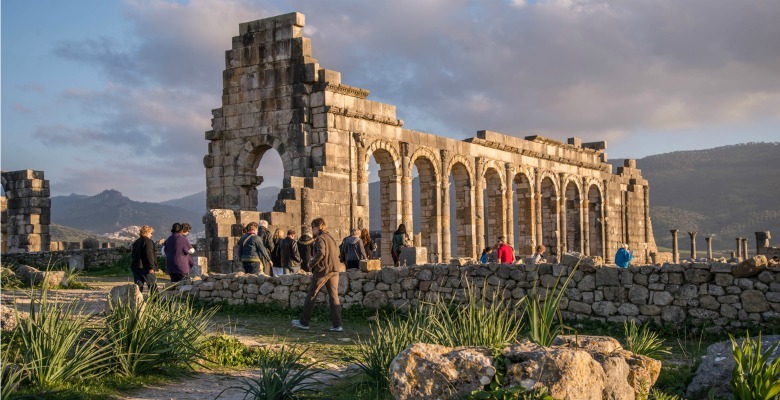 Over 7 days, you will visit the royal cities of Morocco, discovering the cultural richness of Casablanca, Rabat, Meknes, Fez and Marrakesh as well as the ancient site of Volubilis. 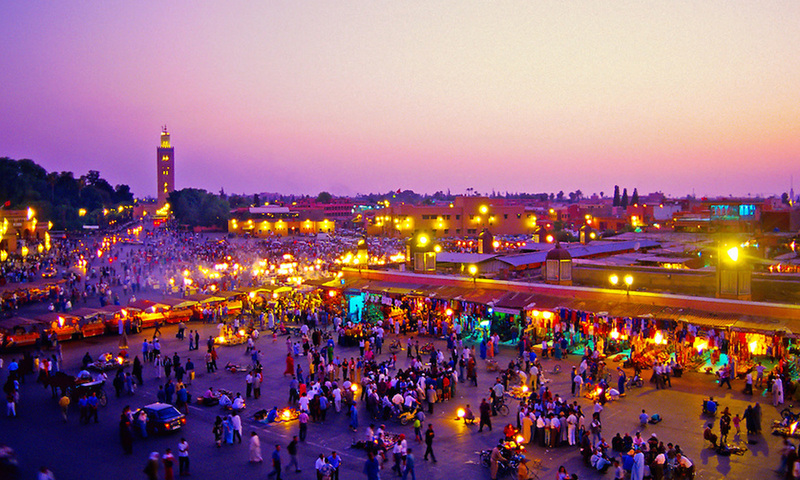 We will meet you at Marrakech – Menara airport and transfer you to the hotel/riad. Dinner and night’s accommodation. Breakfast and departure for Rabat via Casablanca where we visit the country’s economic capital: United Nations square, Boulevard Mohamed V and the Anfa district with the corniche and outside view of the stunning Hassan II mosque. Lunch, then on to Rabat where we visit the Mohamed V mausoleum, the Hasson tower, the Chellah kasbah and the Oudaya gardens. Dinner and night at hotel. Breakfast and depart for Volubilis to visit the Roman ruins, the Gallienus baths, the forum and the capitolium. In Meknes, visit to the Moulay Ismail mausoleum, Bab Mansour and Bab Lhdim. Lunch, depart for Fez. Dinner and night at hotel. Breakfast and then day’s visit of the imperial city and Moroccan spiritual capital: the Attarine Mederssa, the Nejjarine fountain and the oldest university in the world,al-Kairaouine. Lunch in an ancient palace in the Medina. In the afternoon, visit of Fez Jdid (new city) and its walls, the royal palace and panoramic view of the old city. Dinner and night at the hotel. 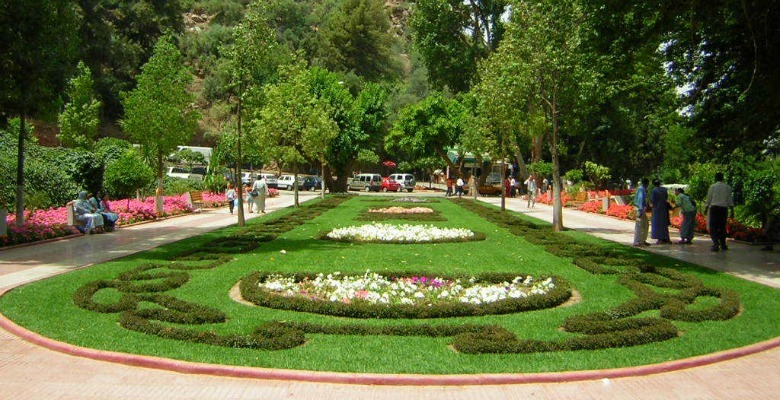 Breakfast and leave for Marrakesh via Beni Mellal across the magnificent landscapes of the Middle Atlas mountains. Lunch along the route, visit to the Ain Asserdoune source. Arrival in Marrakesh, dinner and night at riad/hotel. Breakfast and leave for the tour of the historical ochre city : Menara gardens, Koutoubia minaret, the Saadian tombs and the Bahia palace. Lunch at the hotel, tour of the remparts, the Agdal gardens, the Gueliz district, the Medina, the souks and the famous Djemaâ el Fna square. Dinner and night at the hotel. Breakfast and transfer to airport, timed with flight departure times. 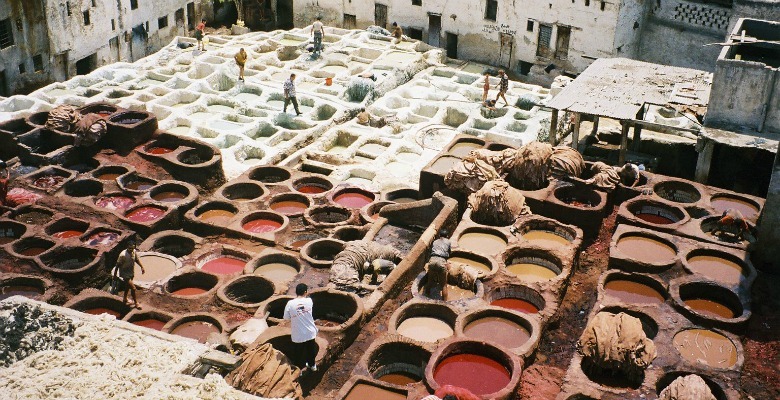 Agence du transport touristique basée à Marrakech et Ouarzazate spécialisée dans l'organisation des excursions et circuits touristique vers les meilleures destinations au Maroc avec une équipe jeune, motivée et professionnelle.